The best traction system in the world for vertical transportation. The use of a gearless machine with a synchronous motor with high efficiency ensures the best use of energy while moving, without any waste. EPLANET is a line of residential elevators that also can, under some conditions, to produce energy (optional) returning it to the power supply so that other electrical equipment can be used. Powerful LED lamps provide maximum brightness in the face of extremely low power consumption and instant ignition timing. 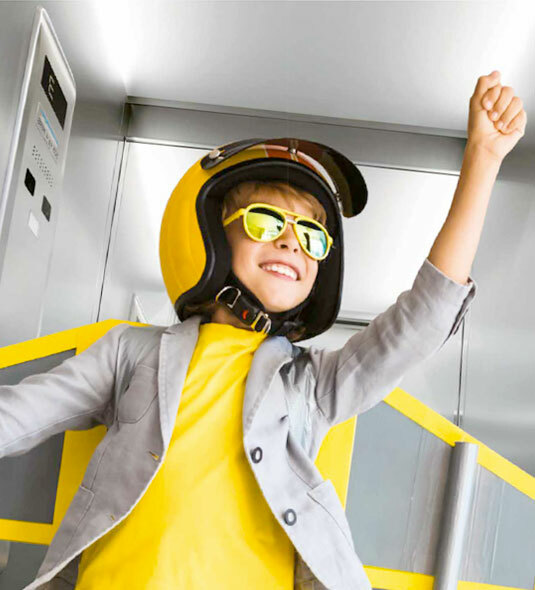 The management with different time slots when the lift is in stand-by operation guarantees the reduction of waiting time for users. When not requested, EPLANET remains in the pre-determined floor having as parameter the estimated traffic flow in four programmable periods over the day. 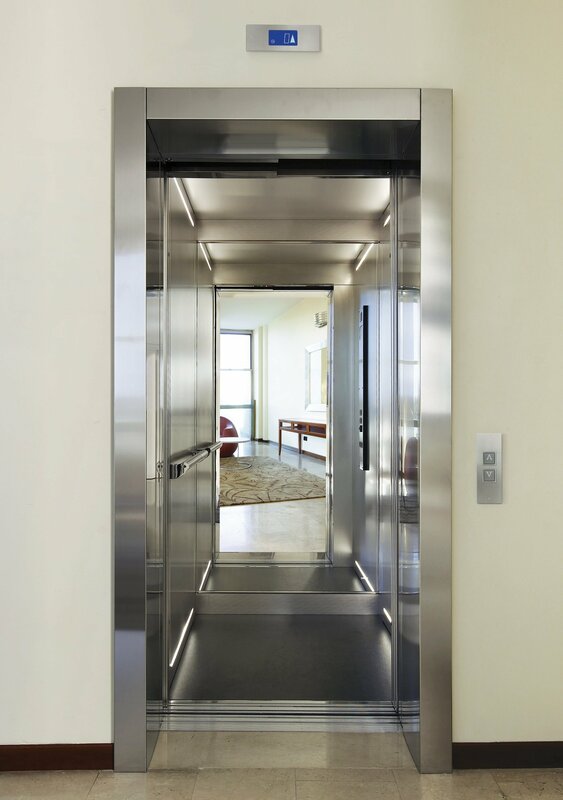 A traditional lift for residential and commercial buildings with low traffic, consumes most of the energy during its life cycle, during the rest phase. It is enough to think that in a residential building with 5 stops, the lift takes just one hour to make an average of 200 travels in one day. The 23 hours remaining it will be stopped. For this reason, the residential elevators inside the house EPLANET were designed and implemented through solutions that tend to minimise the energy consumption, even when the elevator is in “standby”. Reaching the Class “A” during standby phases, in compliance with strict German standards VDI 4707. The standby power consumption of EPLANET is less than 40W. To obtain these results, nothing has been ignored, every possible source of electric absorption, after a few minutes since the last run will be in “standby”, thus extending the system’s life and reducing management costs. 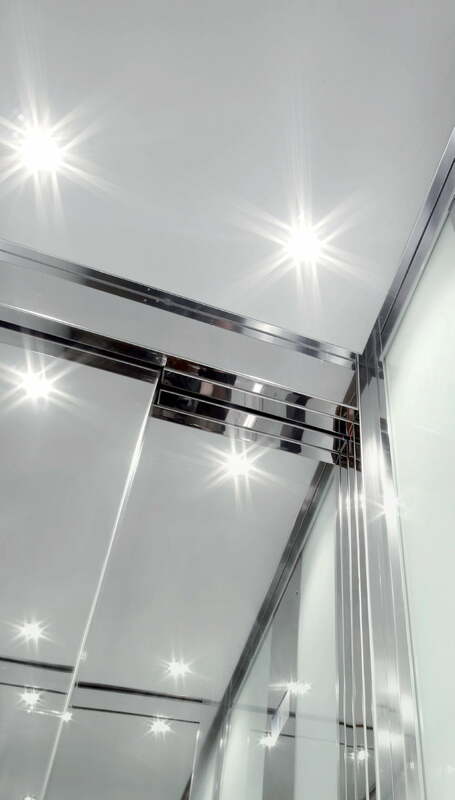 EPLANET is the line of residential elevators powered with three phase mains voltage 400 volts, as an alternative is available 230 volt single-phase version. 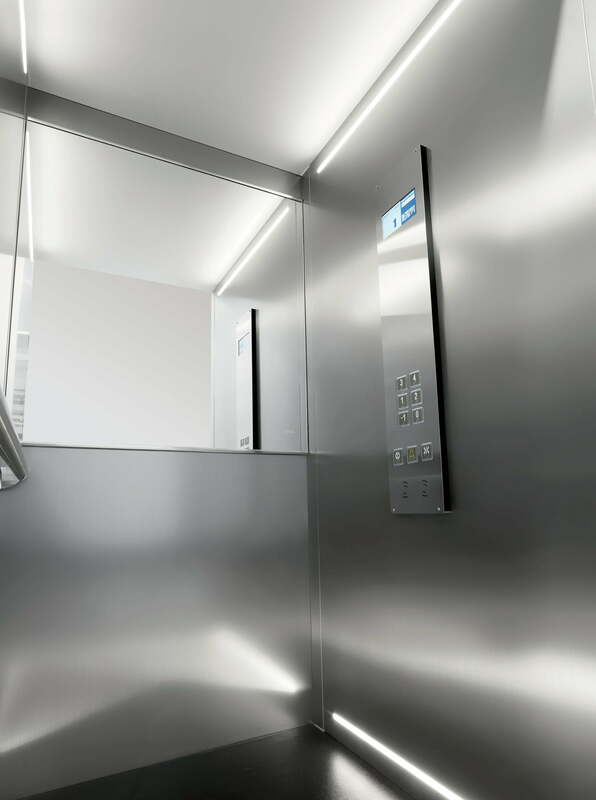 The EPLANET residential elevator has a low power consumption up to 50% compared to traditional lifting systems with geared machines and up to 70% compared to hydraulic systems. 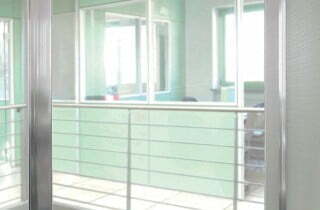 EPLANET is characterised by the complete absence of the machinery room. 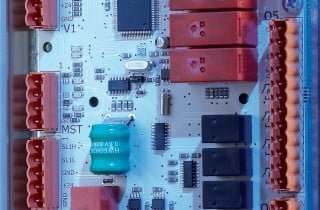 The KAPPA-SYSTEM control system based on a sophisticated and reliable digital technology controls all the devices with the latest generation of Serial CAN BUS system. The control module and system control, inserted into the landing door profiles, is extremely small and perfectly integrated. The controllers have a fast and simple maintenance in any emergency interventions, making them inaccessible and protected during the lift normal operation. 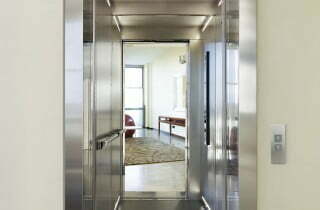 The stainless steel manufactured control systems with LED backlight provide a very high life cycle. The LCD indicator display in the cabin and on the floors, offer maximum functionality. All the controls come with embossed lit numbers with Braille to make it easy and intuitive to use them, even to people with visual impairments. The suspension ropes of the EPLANET lift are manufactured with special high quality materials and are certified to the highest applicable safety standards. The level of flexibility and wear resistance guarantee the performance never achieved by traditional systems. Combined with the deflection pulleys made with advanced techno polymers, provides durability while offering maximum comfort during the lift travel. An innovative monitoring system controls the efficiency at every travel and informs the service technicians in charge about state of wear. The need for replacement is programmed in time according to the actual use of the system. 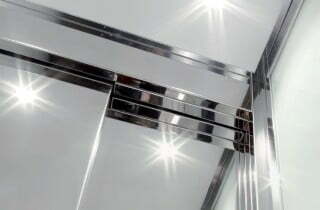 Born from the SEP program (Save Energy Program), it is the result of the continuous evolution of the elevator product developed through constant research of new materials and technologies, aimed primarily at reducing energy absorption. The research and development team internally to the company, works constantly on the creation of new solutions to improve the product performance. The materials used, the choice of innovative solutions, the use of software with algorithms calculation are more advanced to best manage each traffic situation. 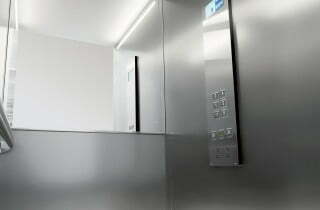 All these factors ensure the use of best technologies applied to EPLANET residential elevators. Its success is the natural consequence of these applications. 98% of the mass of each lift EPLANET, it is fully recyclable. 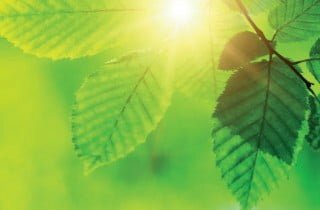 This factor, combined with very low power consumption, guarantee the maximum respect for the environment. 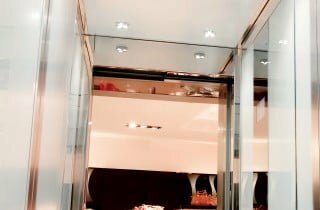 EPLANET is the line of residential elevators built with sealed bearings, “for life”, that do not require any maintenance. The design, color combinations of walls, floors, doors, command forms, offer a wide sense of space, of effervescence and functionality. 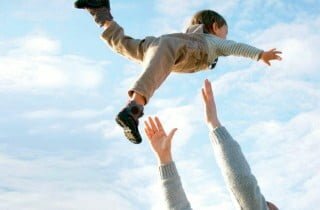 You’ll use your EPLANET elevator naturally, like any appliance of your home.